All prices are subject to VAT, there are no hidden charges and all our repair work comes with a 12 month guarantee. WD Drain Services in Bolton is a family run business with 20 years experience in the drainage industry. We carry out all aspects of drainage works from unblocking blocked drains to CCTV camera drain investigation work and high pressure root cutting - we also unblock blocked toilets, sinks and showers. With some of the most affordable prices in the Bolton area we believe in providing the highest standards of work at a competitive price - and all our repair work comes with a 12 month guarantee. Our other domestic and commercial cleaning services includes septic tank cleaning, cesspit cleaning, driveway cleaning, patio cleaning, conservatory cleaning and graffiti removal. 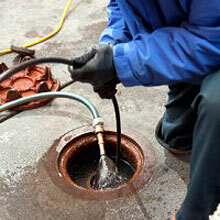 Contact WD Drain Services and see how we can help fix your broken or blocked drain. 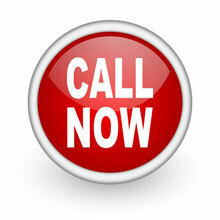 WD Drain Services offers an Emergency Callout 7 days a week between 8am and 8pm - contact WD Drain Services Bolton. 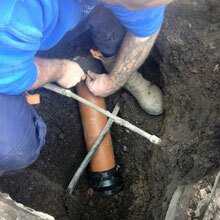 LATEST : We now offer water mains leak repair and water mains leak detection using WIAPS Approved Engineers. 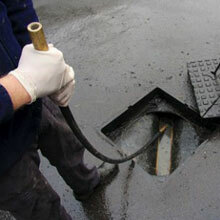 We can unblock blocked drains, blocked sinks, blocked toilets and blocked showers quickly and at an affordable price. Our drainage engineers can repair a broken drain or collapsed drain - and are experts in no-dig technology (or drain re-lining) drain repairs. We also offer comprehensive drain cleaning services using high pressure water jetting units and preventative drain maintenance programs. 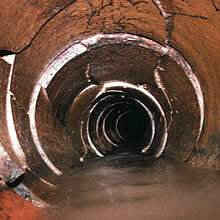 Our drain services also include manhole inspections and CCTV drain survey inspections using the latest CCTV equipment. Please note that due to admin costs we no longer accept cheques. © WD Drain Services, Halliwell Industrial Estate, Bolton, Greater Manchester.